There is some encouraging news for people with later stage lung cancer. 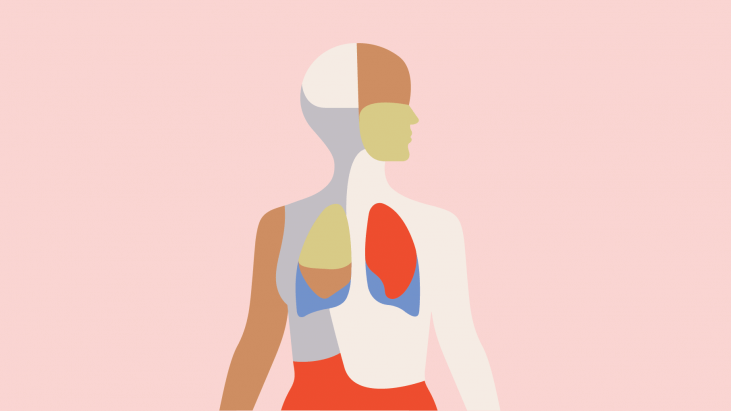 Immunotherapy is now an option for more patients who have just been diagnosed with stage three non-small cell lung cancer, which is the most common form of the disease. If the cancer can not be removed by surgery, the The Food and Drug Administration (FDA) now sanctions using the block buster immunotherapy drug Keytruda as a first course of treatment. The approval is significant because it makes Keytruda available to people with much less expression of a protein called PD-L1, with which Keytruda interacts. This is part of a trend expanding approval of immunotherapy treatments for lung cancer. In order to be eligible for Keytruda, patients also must have no ALK or EGFR genomic aberrations. Mutations in these genes predict much higher likelihood of benefitting from other existing targeted therapy options. In November, 2018, the FDA expanded approval for Keytruda to patients with squamous cell non-small cell lung cancer (NSCLC) that has spread into the body, when combined with chemotherapy. Immunotherapy drugs, which harvest the body’s own immune system to fight off cancer, have changed the game when it comes to treating several cancers. And the developments in lung cancer treatment in the past year alone have been really amazing. The new Keytruda-chemo combo approval was based on findings from a trial, which showed an improved overall survival rate in people with NSCLC who were treated with the combination compared to people who were treated with just chemotherapy (15.9 months vs. 11.3 months). The Keytruda-chemo combo also increased the average person’s survival without progression of the disease from 4.8 months with chemo alone to 6.4 months. The sheer amount of benefit, or life extension may not be enormous, but immunotherapy is continuing to show increased impact. Investigator Dr. Balazs Halmos, of the Montefiore Einstein Center for Cancer Care, said that the approval demonstrates the potential Keytruda has when combined with chemotherapy. “With this important approval, more patients will have the opportunity to benefit from immunotherapy,” he said. It’s also important to keep in mind that while immunotherapy is an exciting area of development in cancer research, it doesn’t work for everyone – and these drugs can come with hefty price tags and major side effects. Keytruda costs about $150,000 and is made by the pharmaceutical company Merck. The key takeaway from the new FDA approval, is that now more people will have the opportunity to have these good outcomes from immunotherapy. The improved overall survival and progression-free survival rates aren’t huge, but every little bit helps.